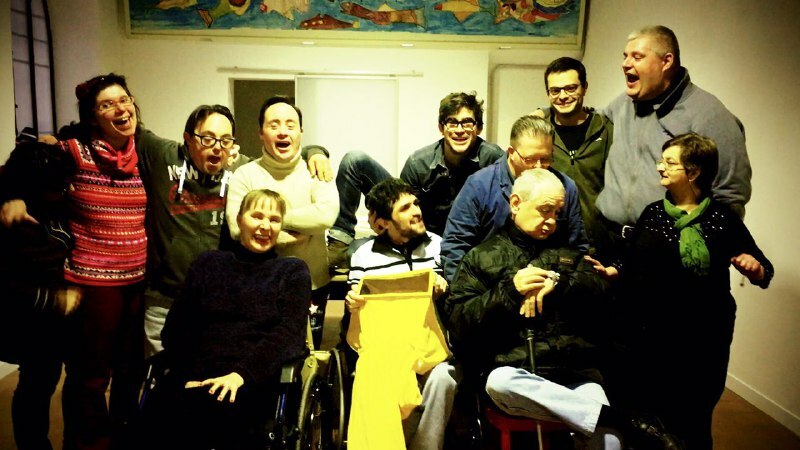 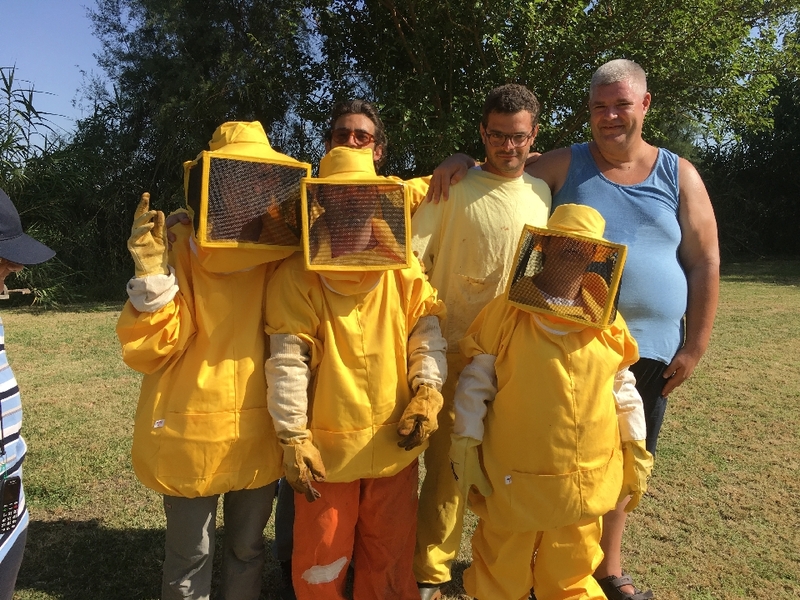 The project allows young adults with disabilities to explore the complex world of bees. 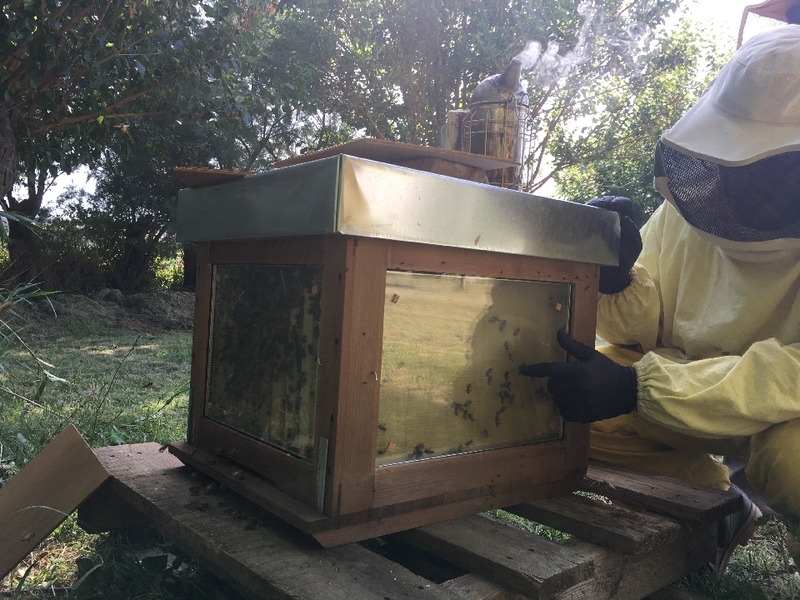 These vital insects are often perceived as dangerous, and their role in the ecosystem is neglected. 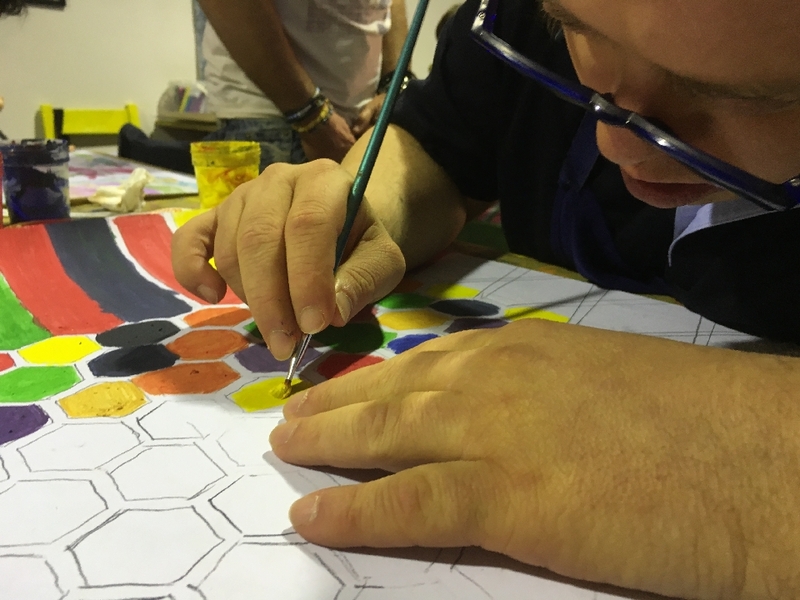 In the same way, the potential of disabled people is underestimated and have their creativity normally undervalued. 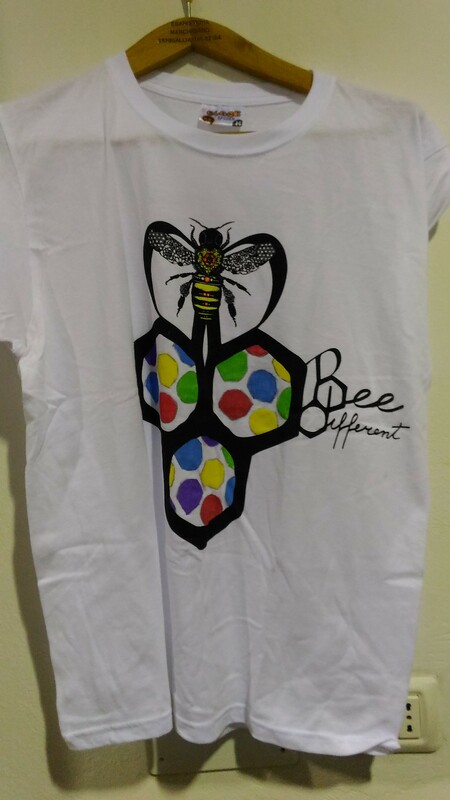 BEE Different aims to bring these two worlds together because we recognize diversity as an important value to be promoted. 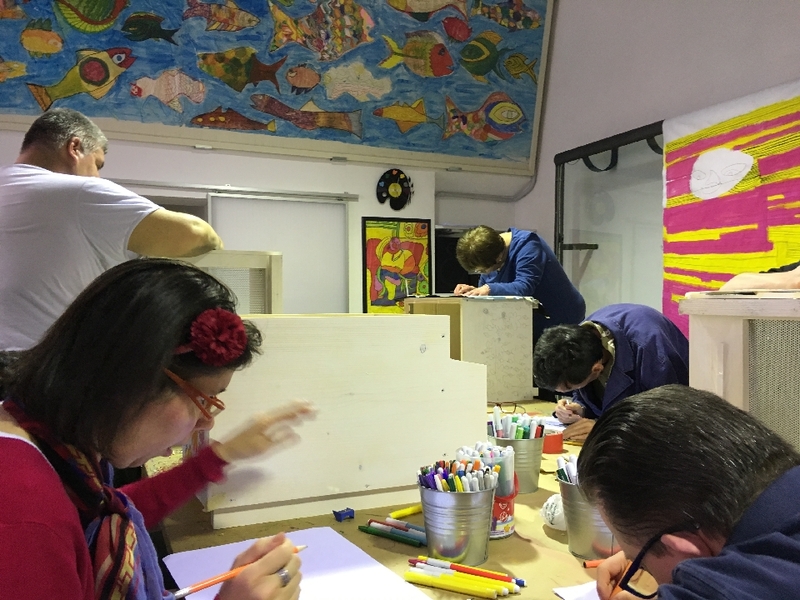 The project has two main objectives. 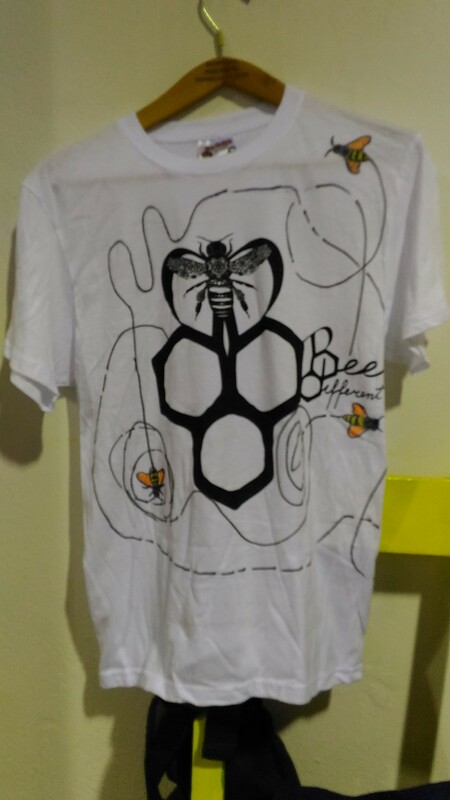 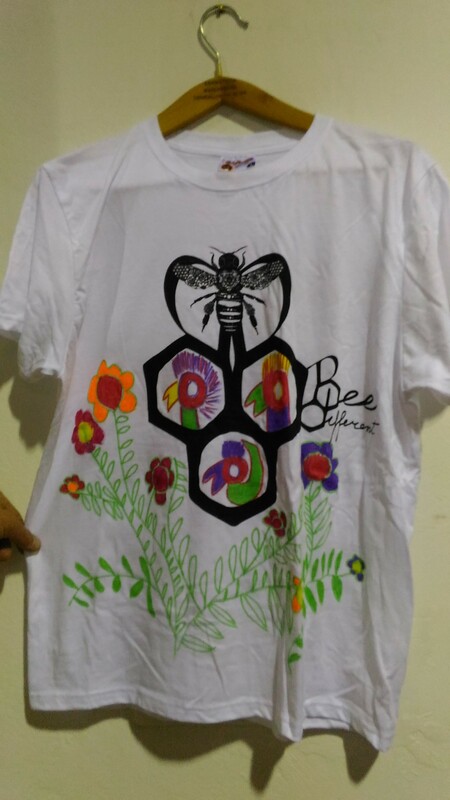 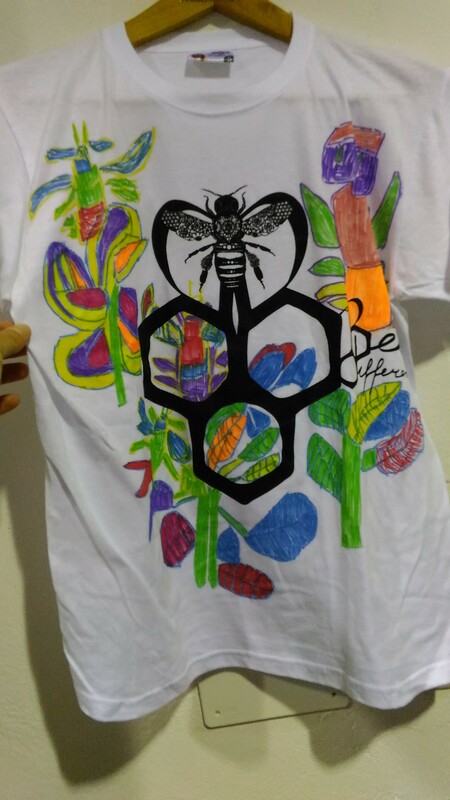 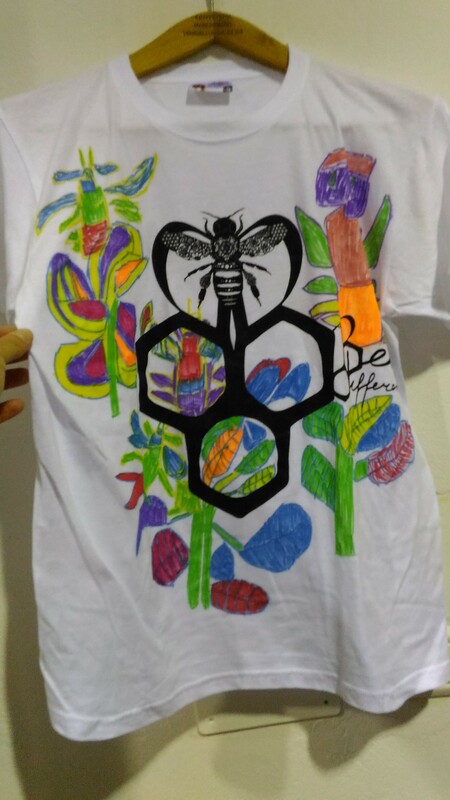 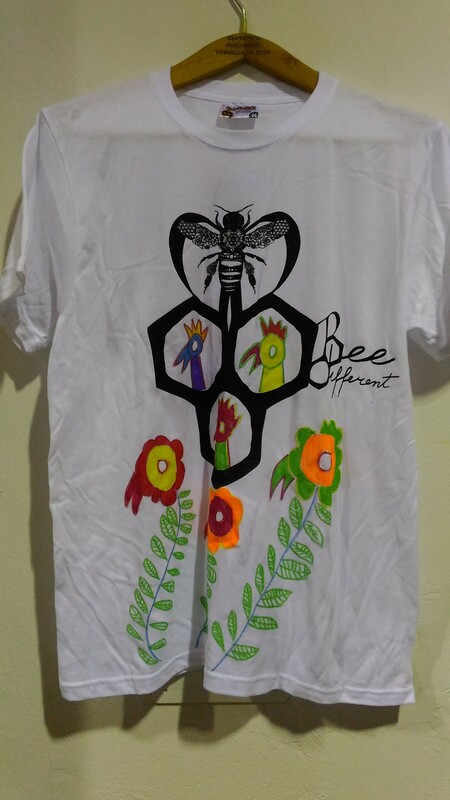 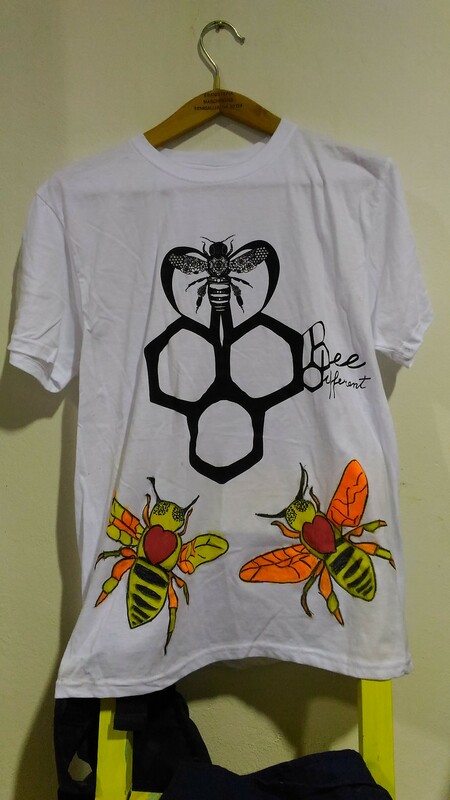 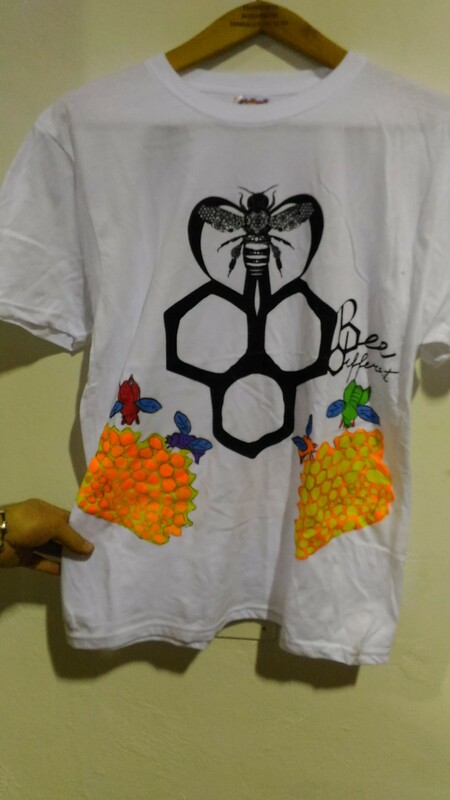 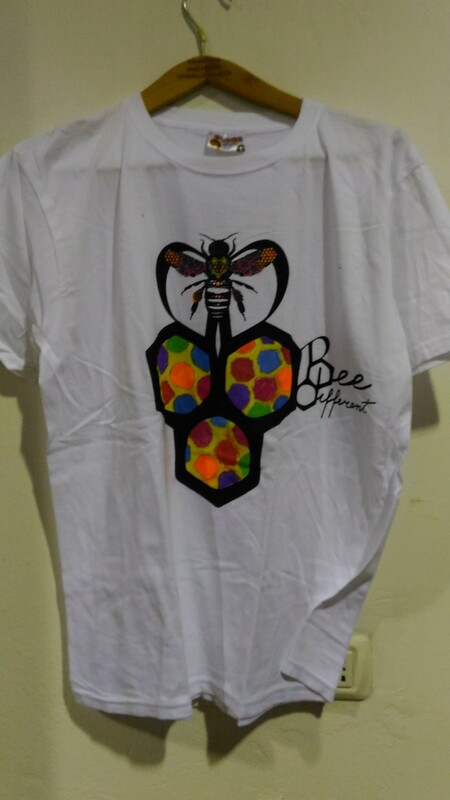 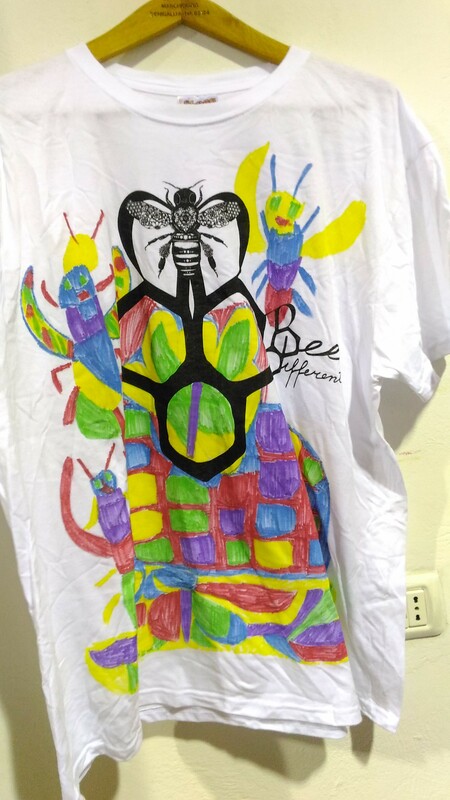 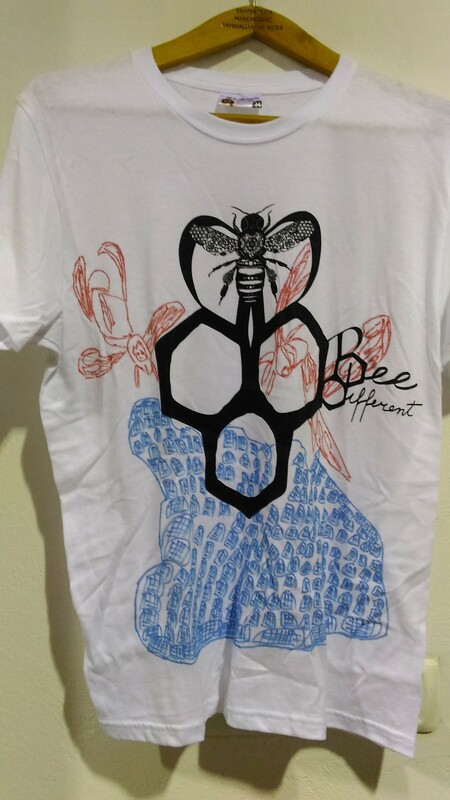 The first one is to offer people with special needs the chance to explore the world of bees through visual arts. 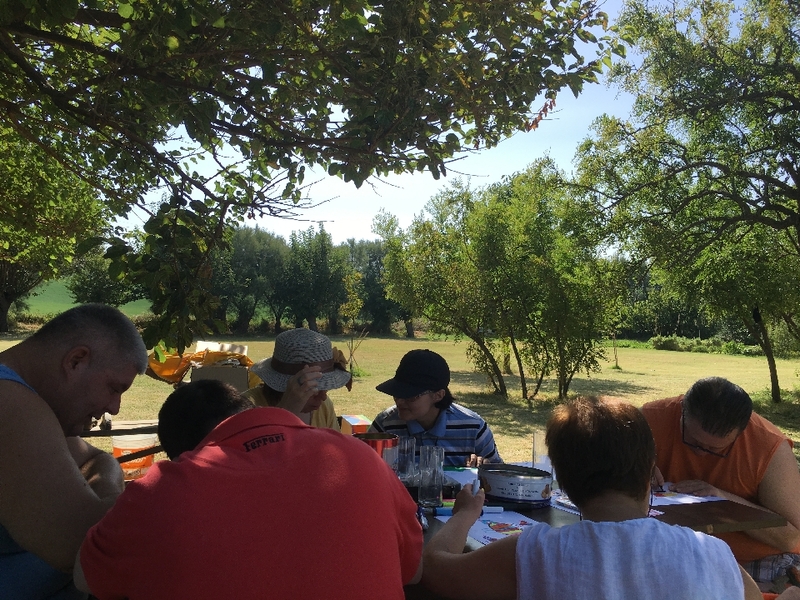 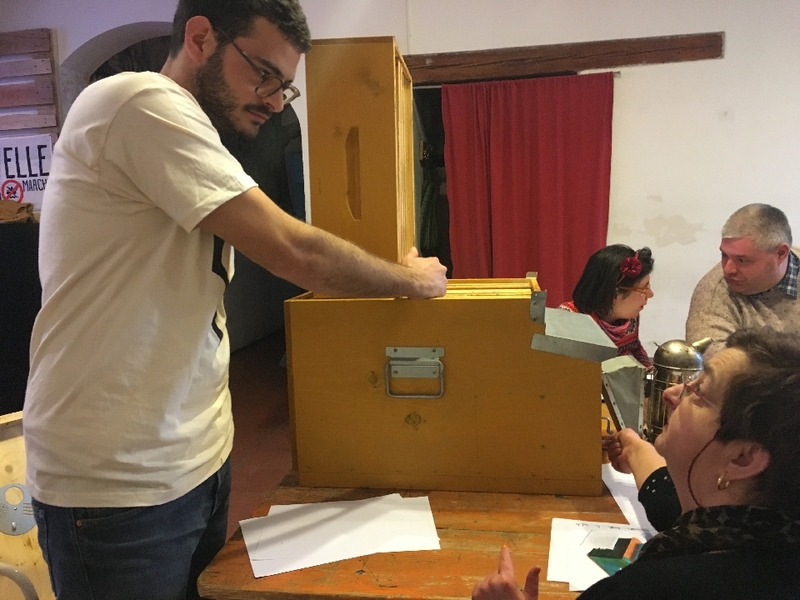 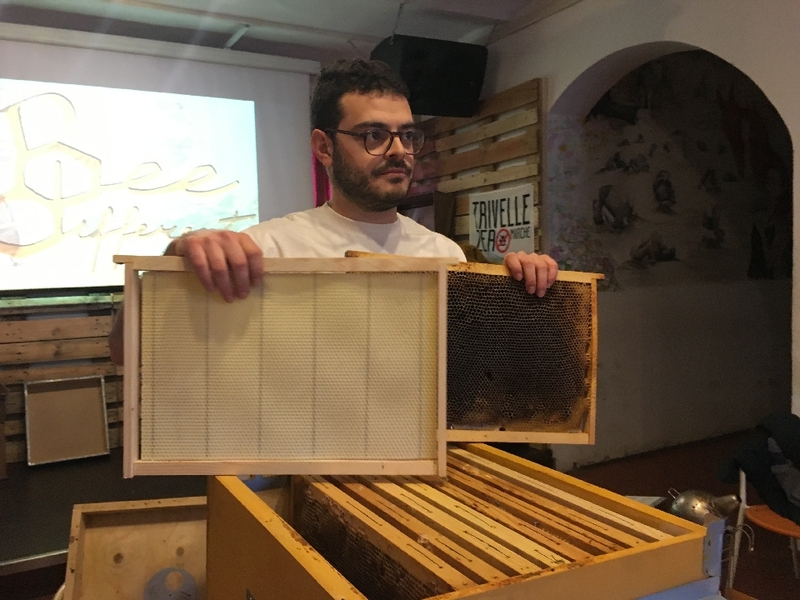 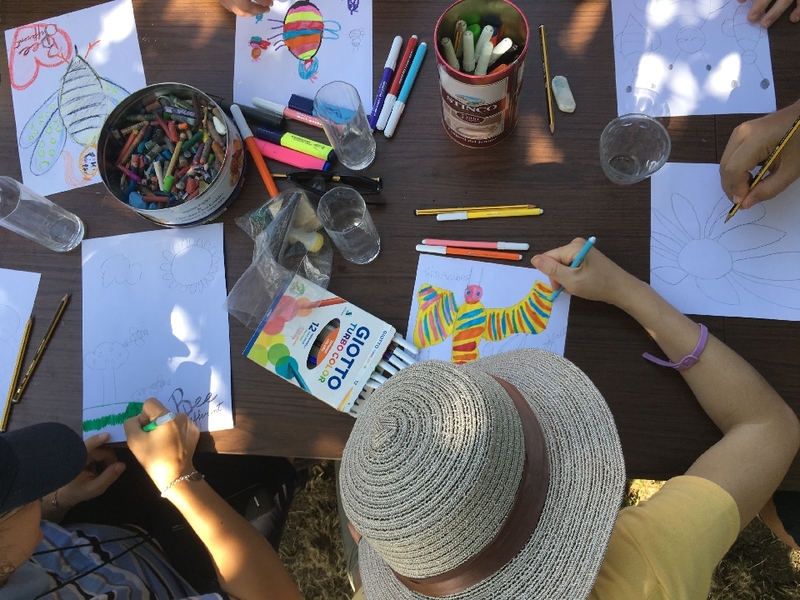 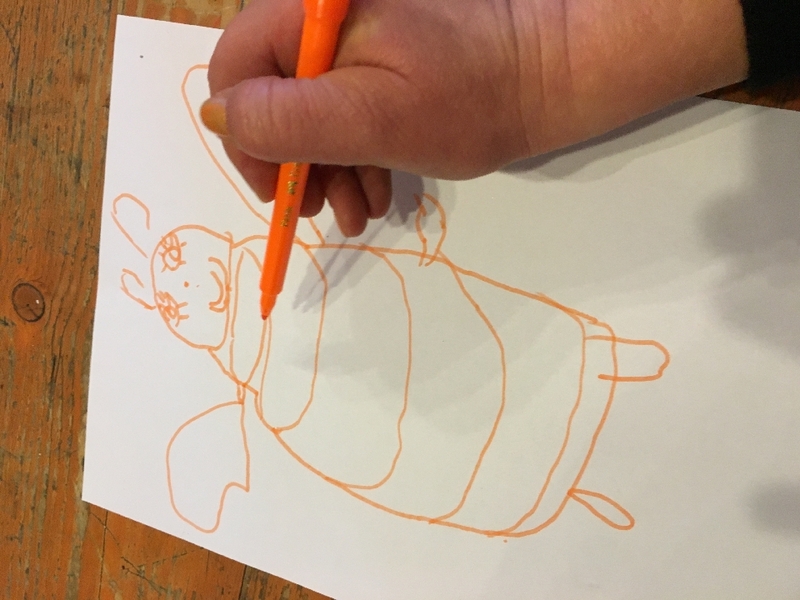 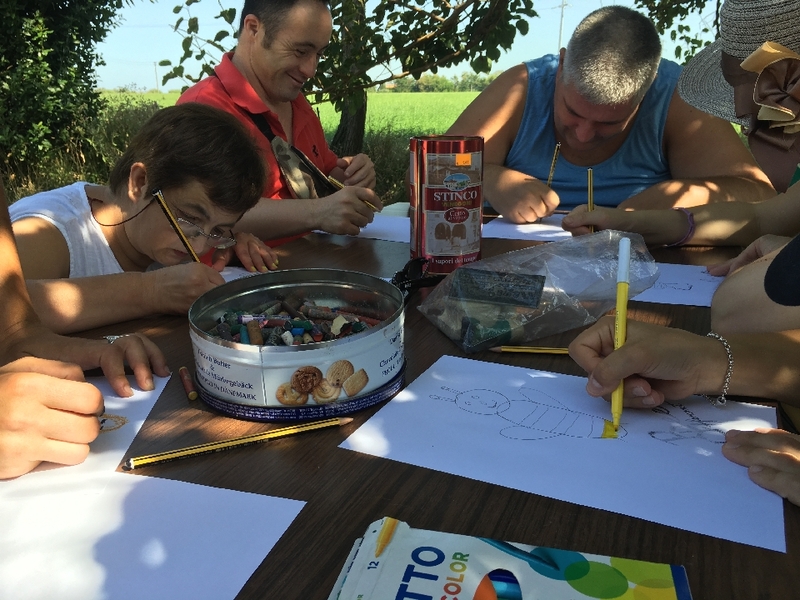 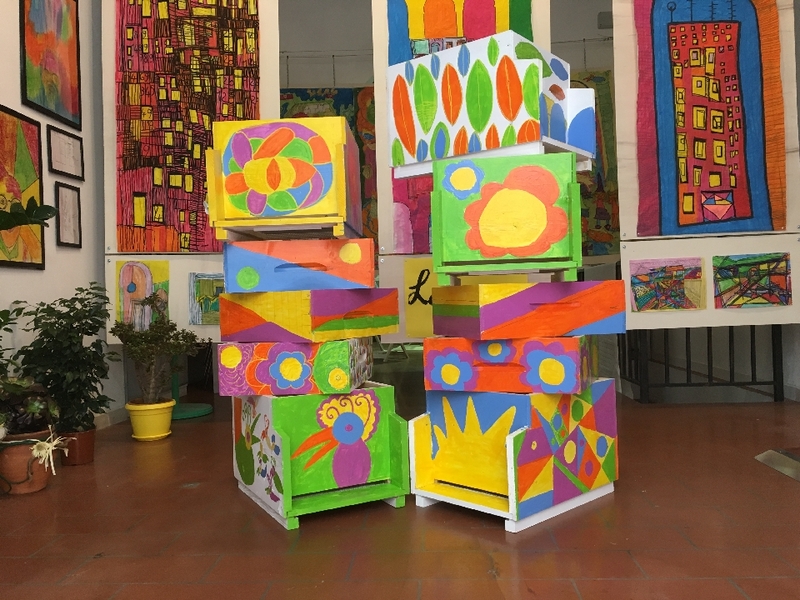 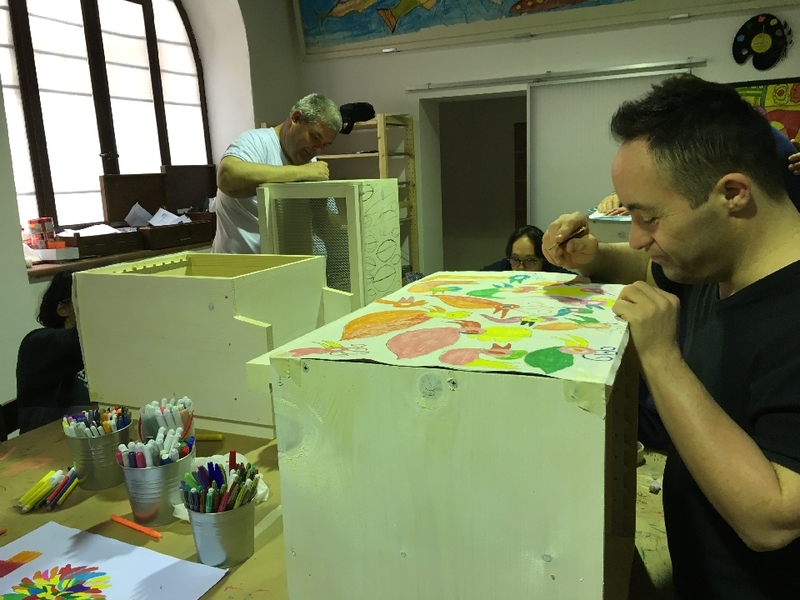 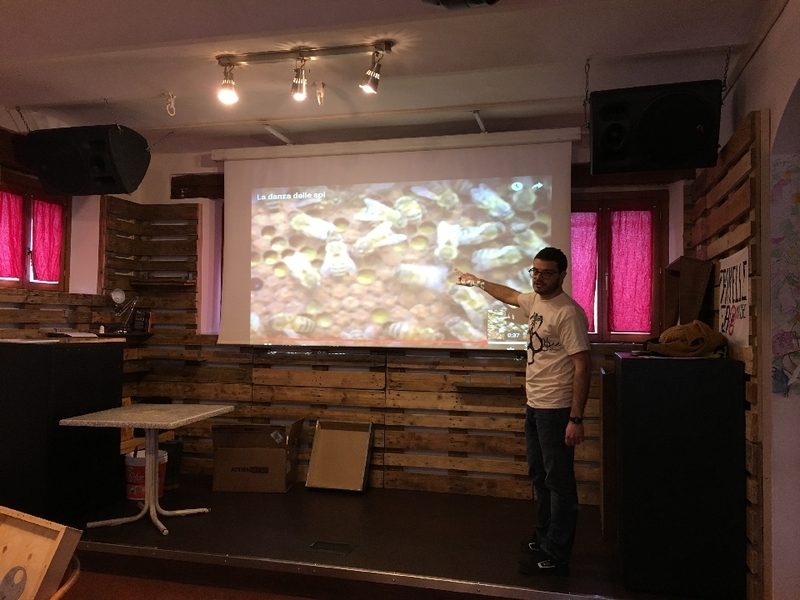 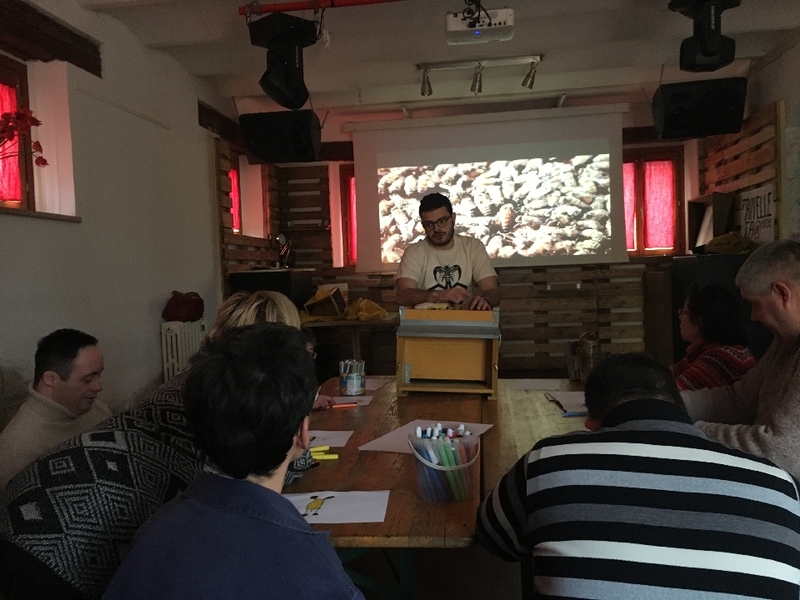 We promote a series of tailored workshops and public talks about bees and biodiversity as well as shows of artworks produced during the workshops. 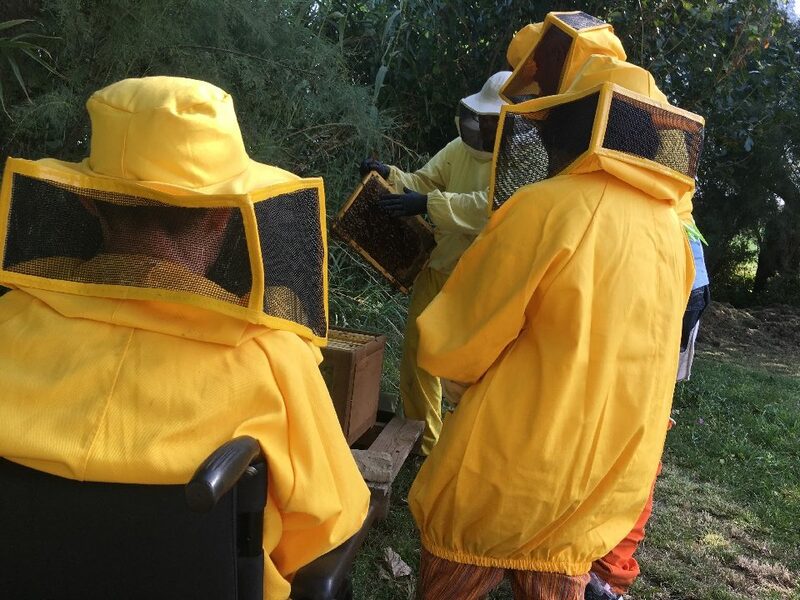 During the last year we created an educational apiary with five traditional hives and an observation hive. 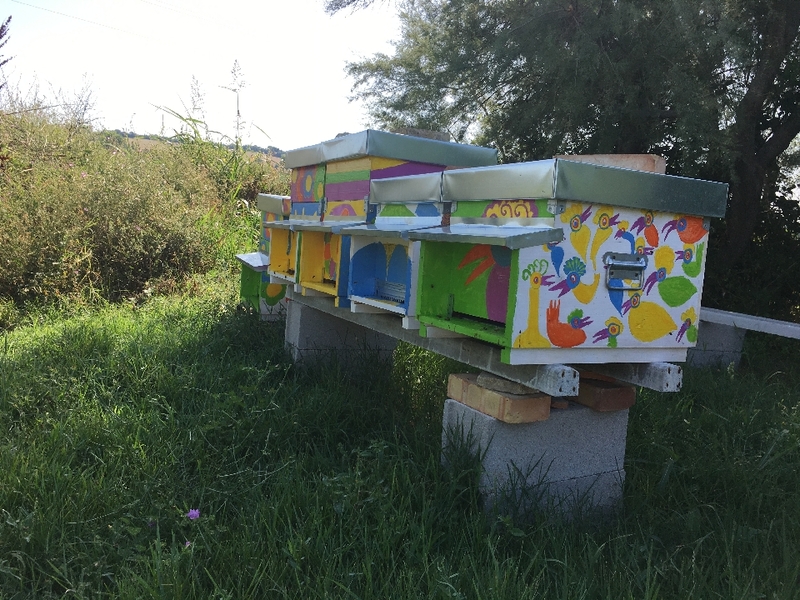 As a part of the project activities all hives have been painted, decorated and placed in the organic farm Agrighianda. 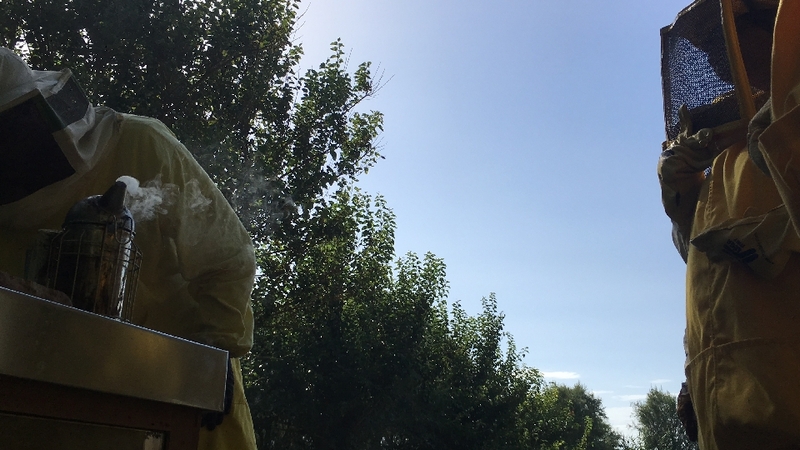 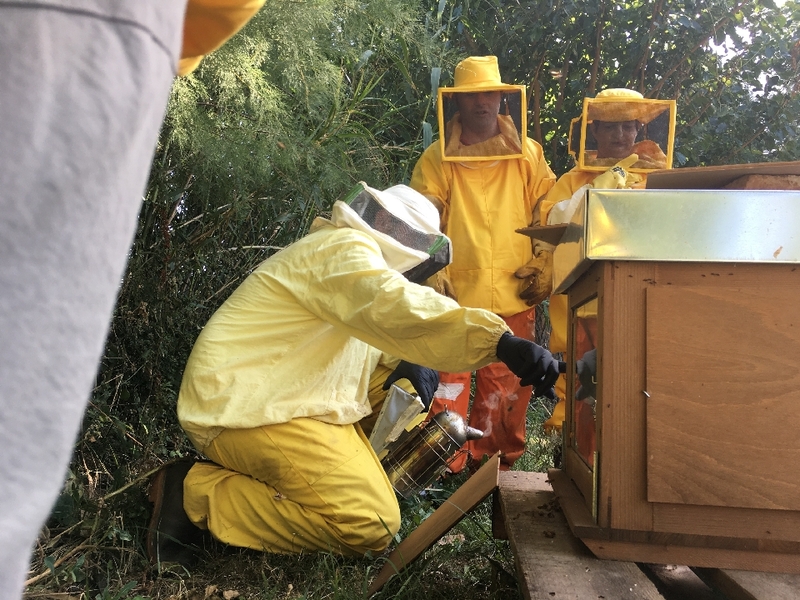 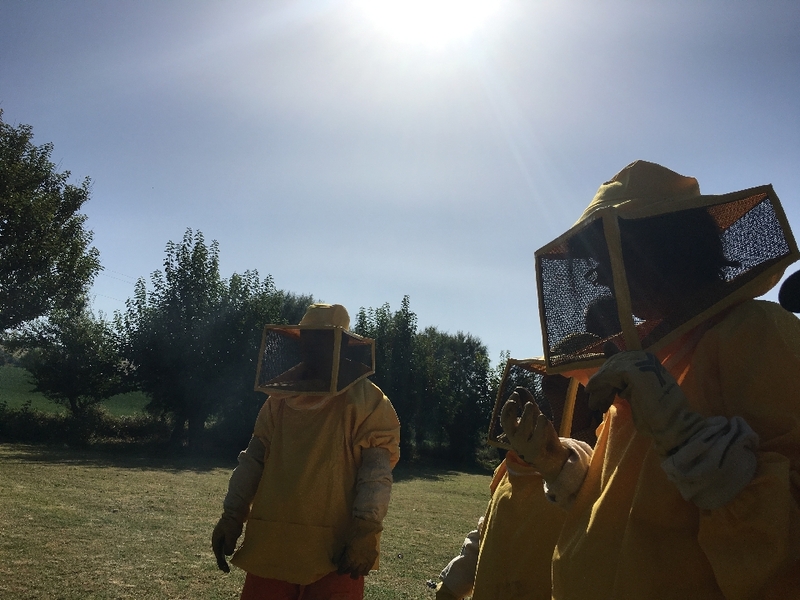 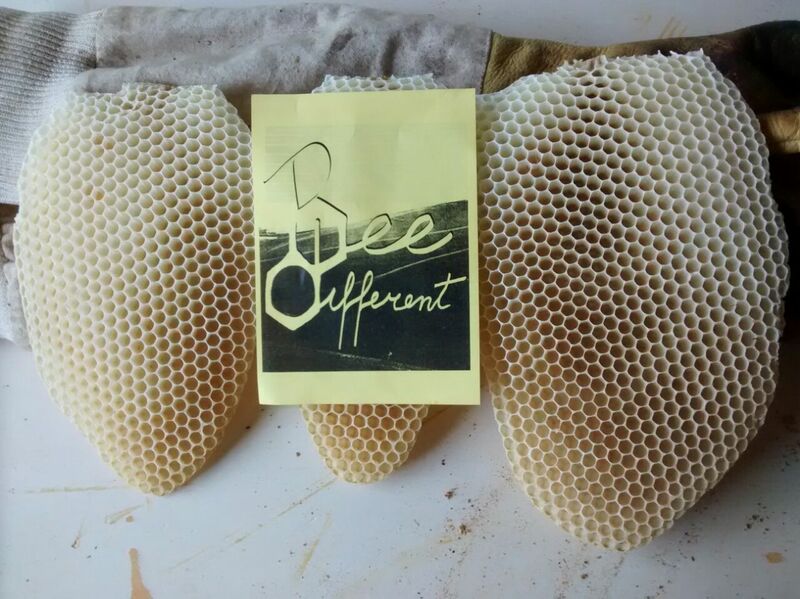 The apiary is now permanent and it allows the development of new didactical projects. 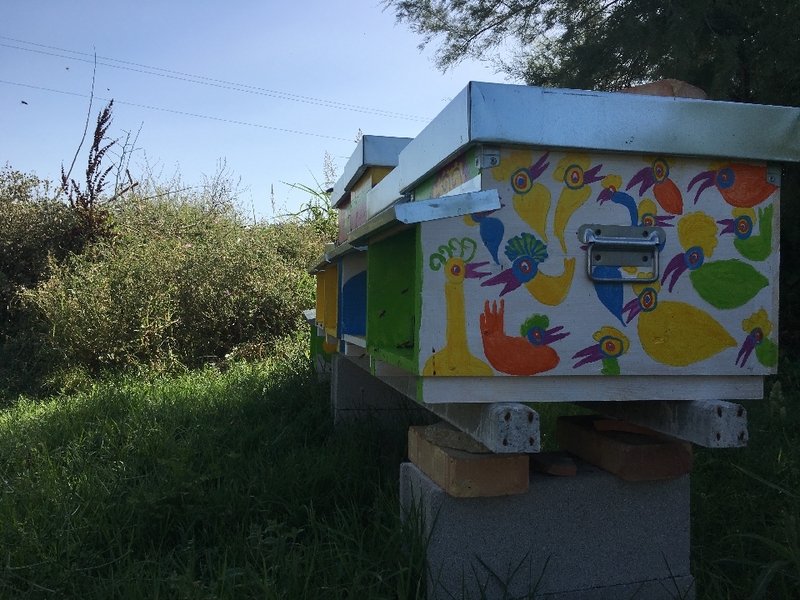 The apiary is daily maintained in order to allow people to observe the bees working and the drawings made by Lapsus.